Upload us your advertising files quickly and easy. Fill out all the requested information below to make sure we get your ad in the right place. Next, click on the Choose File buttons at the bottom. You can upload up to 3 files for the design of your ad. Note: If you have more than 3 files please create a zip file and upload that as one of the files. 1. Open the "Start" menu and click the "computer" icon. Navigate to the location of the file or files you want to Zip. 2. Select the files you want to Zip by pressing the "Ctrl" key and clicking on each one in turn. Skip this step if you only want to Zip one file. 3. 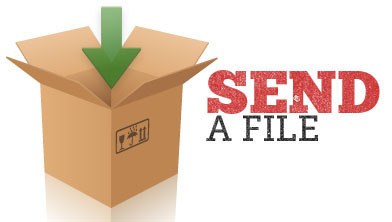 Right-click the selection or file and move to the "Sent to" option. Click the "Compressed (zipped) folder" option to create the Zip file. After you have located the files and their names appear on this screen, click the Submit Form button to transfer your information to us.